"MY FOLKS LIVE IN SENIOR HOUSING"
I grew up in Delaware but headed west in my twenties and never looked back. My siblings – there are seven of us – also were spread to the wind during the 1960s and 1970s. Six out of seven today live in Texas and North Carolina. Only one sister remained nearby in Pennsylvania, close enough to stop in and visit mom and dad regularly. I suspect this is a common situation in modern day America. My folks were left with a five bedroom split-level house in the suburbs – a museum of childhood artifacts and a testimonial of American middle-class achievement. It’s nice but museums require a lot of upkeep, especially for seniors. Now, ideas of what a senior housing community consists of are still evolving. Everything is possible--from resorts to simple elegance. My parents are "home bodies," and their requirements are relatively simple. Other than going out for dinner and groceries once a week and maybe to church on Sunday, I don’t think they’ve strayed from the house and the TV in the past decade. Having no interest in moving south like so many other snow birds, my folks stayed in their own home as long as they could and a little longer than they probably should have. The first few hospital stays make it apparent that maintaining an estate or even a good sized house is the work of the young and energetic. Finally, at eighty-eight years of age, my parents started to explore smaller housing options. I know it isn’t always so, but in my parents’ case, finding a safe and convenient senior housing community was simple and less than a half mile away from home. Moving in was more traumatic for my dad than for my mom, but he did get some new furniture, a great new recliner chair and a bigger TV, so life is good. The senior housing community they moved into has assisted living options, a wide offering of activities and food on demand. My mom is getting exercise like never before and my dad now has an audience for his political editorializing. Maybe that’s where I got it. I hope all senior citizens are as lucky in finding a senior housing community that fits. 1. SWEATERS. Most elderly people do not move around enough and are always cold so a sweater would be great they will enjoy it for years to come. The hardest thing about this gift would be what color. So look around and see what color seems to be their favorite. 2. EXTERNAL SPEAKERS. Elderly people will never admit that they are having a hard time hearing, so why not get speakers as a gift. Pick the kind that can be plugged in to the TV and set on a steady table by the elderly person's chair. You will most likely have to make some time to hook these up for the person you give them, since they will probably not be able to do this on their own. 3. FAMILY CALENDARS. Some elderly get forgetful, so I make calendars with family pictures, so they can see their loved ones daily and a schedule of new appointments can be kept in check. If you are not able to make this on your own you can gather pictures from the elderly person and take them to an Office Depot or most stationary stores and have the current calendar made for you. 4. TRANSPORTATION. Elderly shut-ins have a hard time getting to appointments so why not make a coupon book for transportation most will probably not call so you will have to make it a point to make your self available. This does not just have to be for an immediate appointment you can just take them for a drive. Or take them shopping. Or how about out to lunch. 5. A HOME-COOKED MEAL. How about cooking meals for a shut in; they will enjoy it, and it only means adding a helping to what you are already cooking. Please make sure that they are not allergic to any foods and do not have dietary restrictions. Ask if they've been craving any special food or what their favorite food is. 6. CANDY. Many elderly have a sweet tooth, so a box of chocolate is always nice. But make sure you buy sugar-free for any diabetics on your list. Dried fruit would also fall under this gift idea. This can be bought at any food store. Or maybe you cook and want to make up a tray of cookies, candy or any holiday goodies you make this time of year. 7. HAND and BODY LOTION. Elderly people get dry skin easily, so lotions are always a hit. You may want to make sure they don't have a problem with a certain smell. 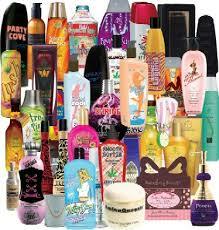 Look around and see what kind they use or just ask them what brand of lotion they like. I genuinely think some shower gels to fall into this category because there are so many different brands. 8. LAP BLANKETS. If you are a crafter why not make up a lap blanket? The recipient will think of you every time they cuddle up with it. These can be crocheted, embroidered, knitted, or you can purchase them at most department stores. Again you may want to find out their likes and dislikes, or their favorite color. 9. AUDIO BOOKS. People love to read but some elderly cannot see well enough to do this, so audio books are a great gift. Just remember: different people like different things. Women may prefer Nora Roberts romance books, while men will probably prefer sports-oriented stories. 10. 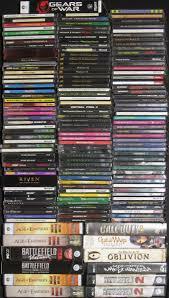 MUSIC CD'S or CASSETTES. Music is always nice; the elderly are a different age group and listen to older music. They have a hard time finding their favorites on a radio station so why not buy them a CD or tape? Providing personalized care to suit your needs. Whether you are a senior or an adult who is simply no longer able to perform everyday tasks independently, Guardian Angel Adult Care Services is here to provide professional, compassionate long or short-term care. Our services range from a few hours a day to 24 hour a day care; including weekends and holidays. You can take advantage of as many or as few of our services as you like. We are here to cater to YOUR needs. Whatever out-patient procedure you may undergo, Guardian Angel Adult Care Services can assist you with transportation to and from your out-patient procedures as well as providing before and after care for as long or as often as you need it. Transportation only services. Perhaps you are not in need of any of the variety of home-maker and companion services that we offer, but you do need a little help getting out and about. We can transport you anywhere you need to go in a safe and timely manner.